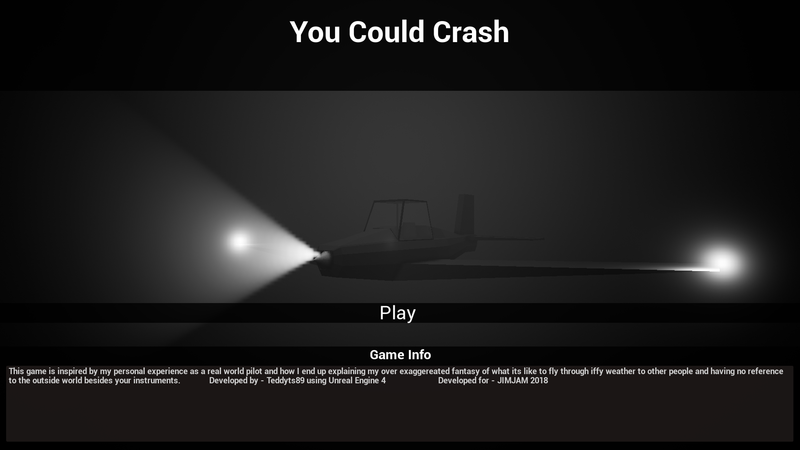 This game is inspired by my personal experience as a real world pilot and how I end up explaining my over exaggereated fantasy of what its like to fly through iffy weather to other people and having no reference to the outside world besides your instruments. 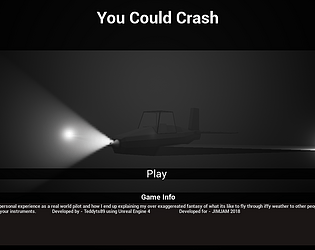 - THIS BUILD DOESNT HAVE PROPER COLLISION WHICH WONT ALLOW YOU TO DIE SORRY GUYS, FAULT OF ME NOT TESTING AT LAST MINUTE. 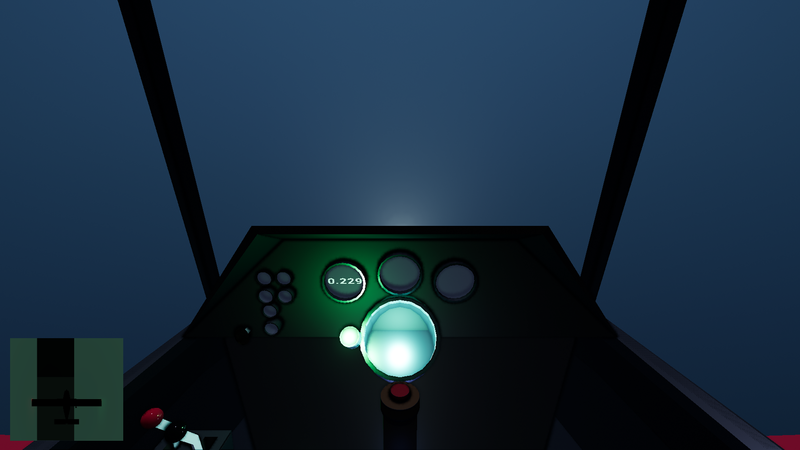 - spamming controls will leave aircraft joystick locked in a position but wont affect gameplay. Music was the only freely downloaded asset online everything else was handmade with love. I ended up wanting to watch the small top down view in the bottom left more than I did the big main game view. Maybe something to think about. I found the game pretty silly, it can be a little hard dodging the birds but I think that's the point of the lose state if it were working. Atmosphere was a little off but it was pretty close, a few tweaks and you could have some thing pretty interesting here. The game has some potential, but it seems really aggressive with the timing. 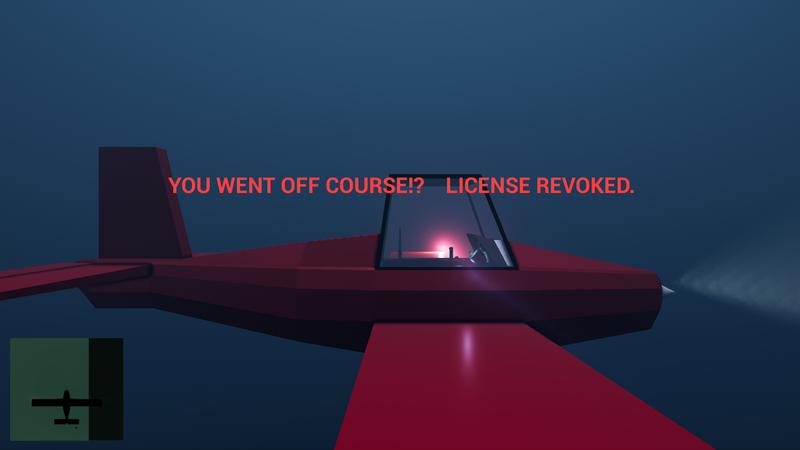 It seems no matter whether I pay attention to the radar, the screen, or the warning light, there's really not much time to react to incoming obstacles regardless. It would be nice if the screen was maybe even foggier, but the warning light gave you a much earlier warning, so you actually had to rely on the instruments more. Damn that music is touching))) The game looks like you are underwater, but its a plane)) Had fun with it!